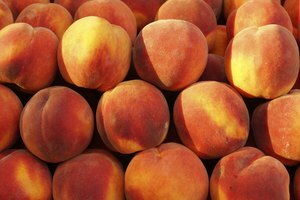 If you have a nectarine tree in your back yard, distinguishing the ripe ones is relatively straightforward. Pluck one from your tree and taste it, and if it's not ready yet try a different one later. 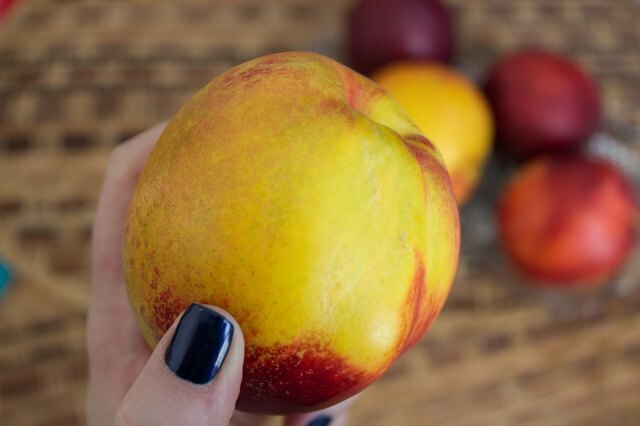 Unfortunately that's not a strategy you can use at the supermarket, so it's helpful to understand and recognize a few of the sensory cues that indicate a well-ripened nectarine. 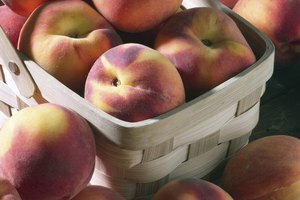 The nectarines you see in the produce section are usually picked slightly underripe, so they'll travel better. If you see a faint green tinge underneath their characteristic blush, typically at the stem end, that indicates a fruit that needs more ripening time. 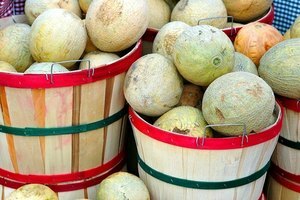 Their texture changes from hard when underripe to very soft when overripe, with ideal specimens remaining firm but showing a slight "give" when gently squeezed. Very soft spots indicate bruising, and you should avoid heavily bruised fruit. 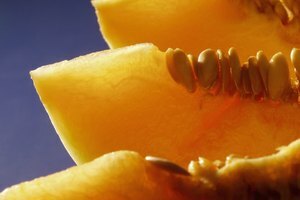 Ultimately, the best test of ripeness in a nectarine is its aroma. Incompletely ripened nectarines exude little smell, but when fully ripened the fruit becomes richly fragrant and aromatic. 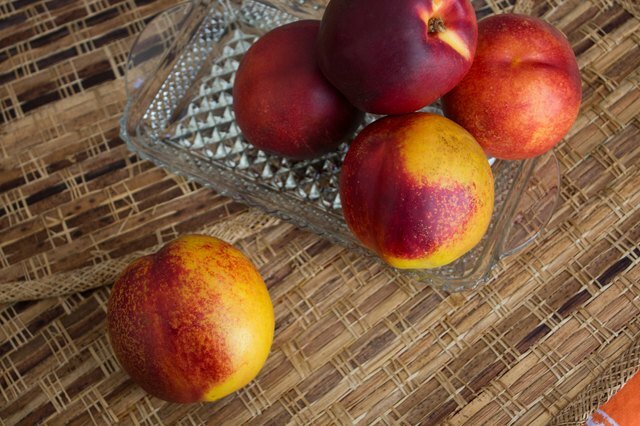 A fully ripened nectarine only remains at its peak for a day or two, so they're best when eaten almost immediately. Fortunately nectarines are "climacteric," meaning they'll continue to ripen after they're picked, so you can cheat a little when you're produce shopping. 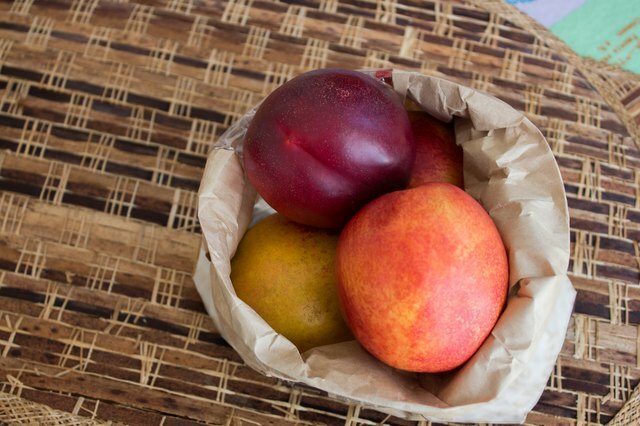 Choose nectarines that are fragrant but still slightly on the firm side, and store them at room temperature in a paper bag once you've gotten them home. The bag allows a modest degree of air circulation but traps the natural ethylene gas released by the nectarines. 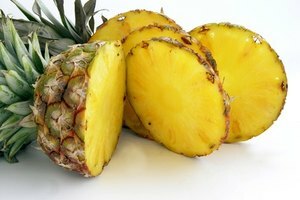 This speeds their ripening, giving you lushly tender fruit that haven't been bruised and damaged by other shoppers at the market. 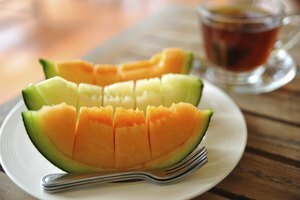 Can I Ripen a Cantaloupe Once It Has Been Cut?